1¼ inch / 30mm wide, tapered down to ¾ inch / 20mm ends to fit standard swivels. Adjusts from 32 to 35 inches (81 to 89cm) long. Weighs approx ~ 105 grams. 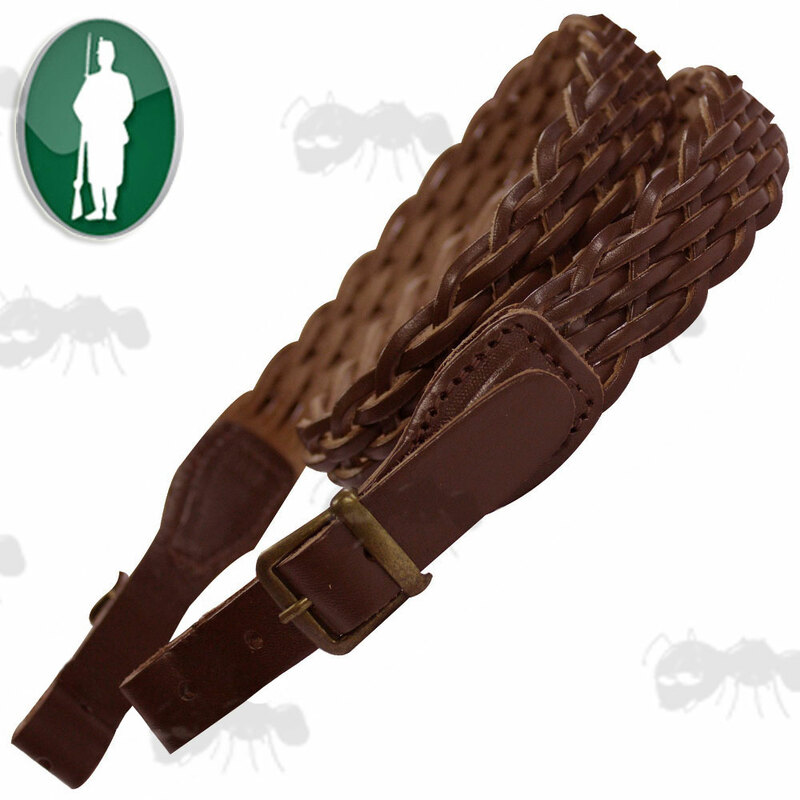 Deluxe sling, beautifully made from the finest oiled leather with brass fittings. 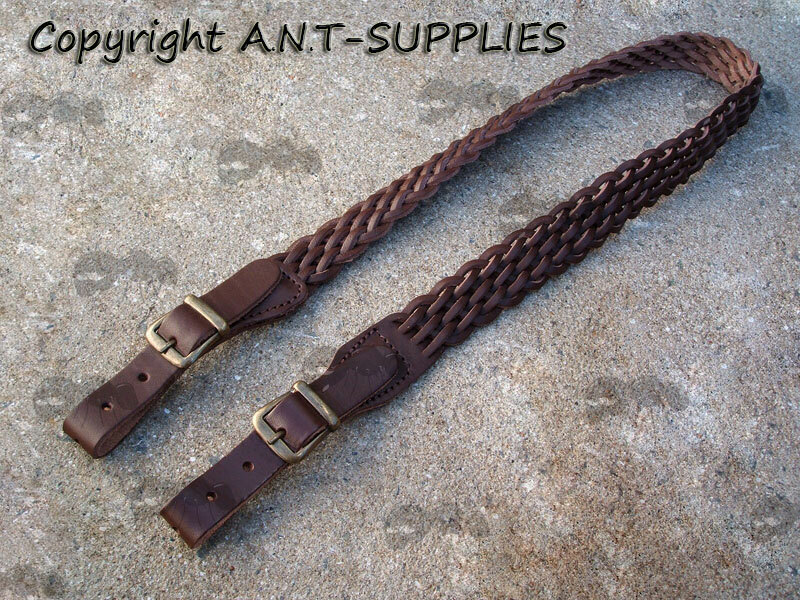 This broad shoulder sling looks great and will last for years once firmly secured to the swivels of your gun.